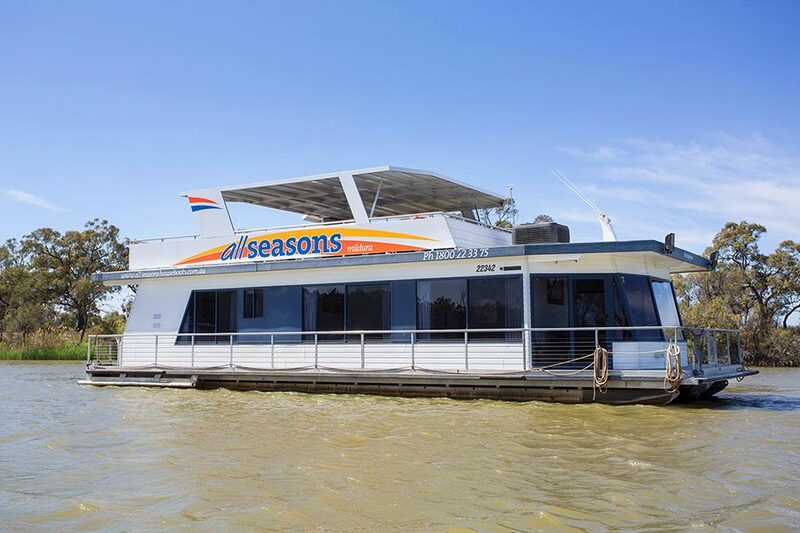 All Seasons Houseboats….now that’s a holiday! 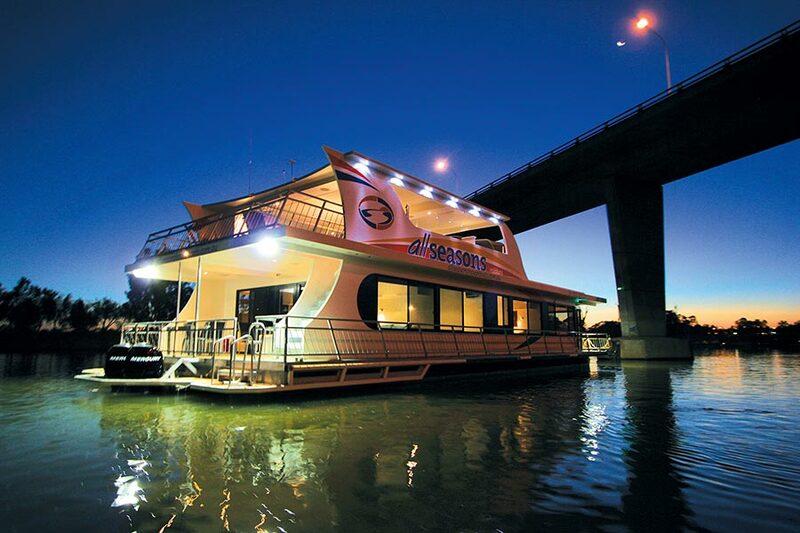 A houseboat holiday can be a lot of fun for people of all ages. Following are a list of ideas to assist you in planning your next holiday to ensure that it’s fun, hassle free and to ensure that you don’t forget anything! 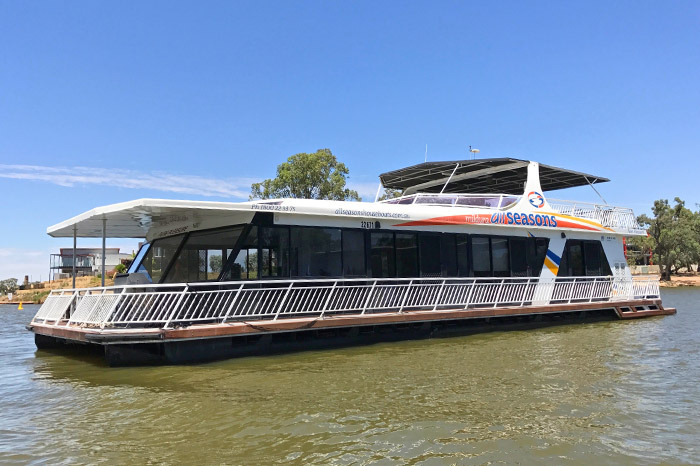 Our boats can sleep anywhere from 2-12 people so the number of people you’re planning to have combined with the onboard facilities helps decide which boat suits your group the best. 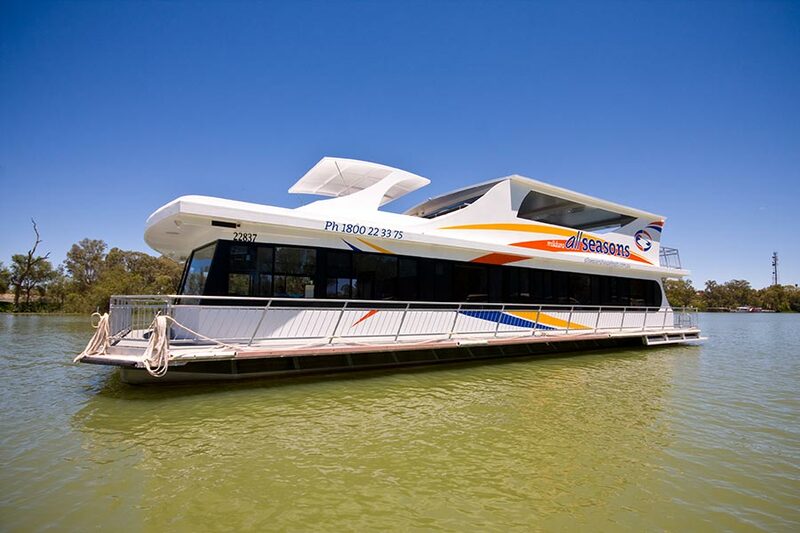 Please note that the maximum number of passengers allowed onboard is 10 or12 depending on boat selected. 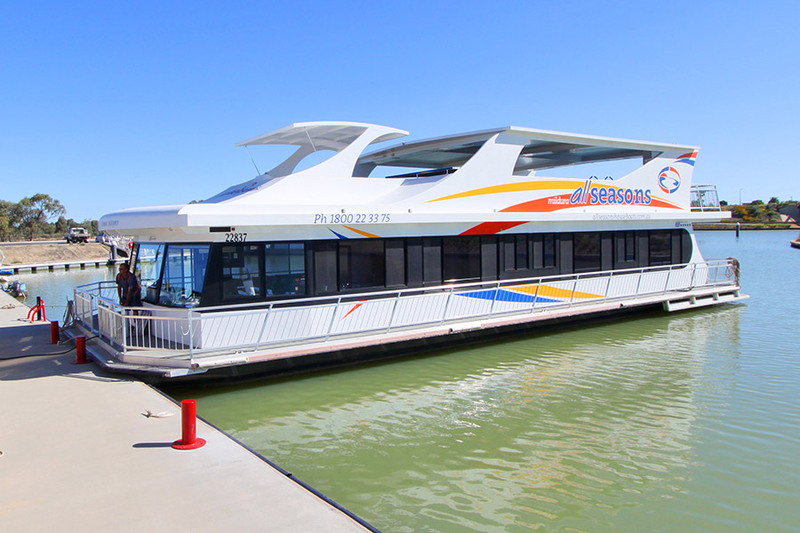 There is a quick comparison guide to all of the houseboats here or view our fleet! Planning your trip involves a commitment from everybody in your group. 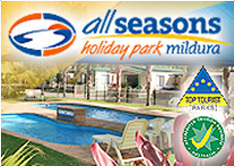 If you are wanting to travel during peak seasons such as Christmas and Easter, you are needing to plan well ahead. You need to organise the deposit to confirm the booking, plan what food to bring, organise any additional activities such as tours and water toys such as runabouts, kayaks etc. 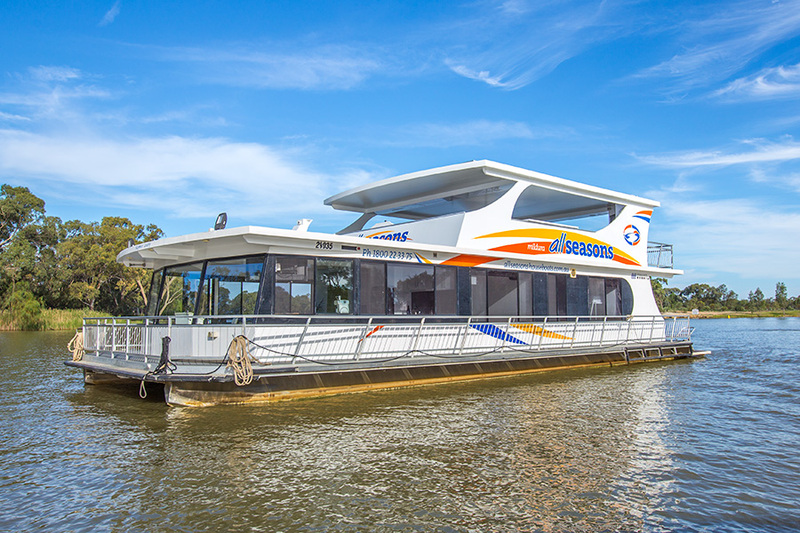 Once you have decided to live it up with a luxury houseboat holiday the first thing you need to do is decide on some dates. 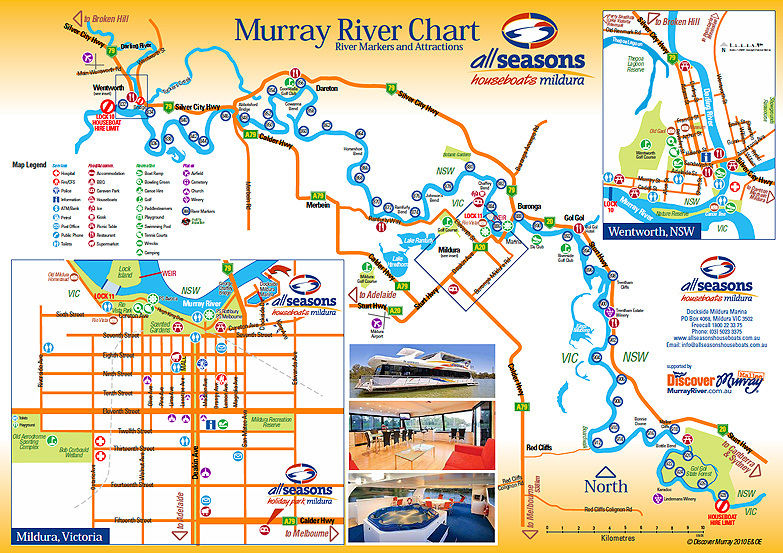 We suggest that you get an idea of what time of the year best suits your group and decide for how long you would like to travel along the Murray River. Once you have done this we suggest that you contact us to let us know your preferred choice of boat(s) and approximate travel dates and from there we can give you the availability of the boats that suit your requirements for the time you’d like to go. 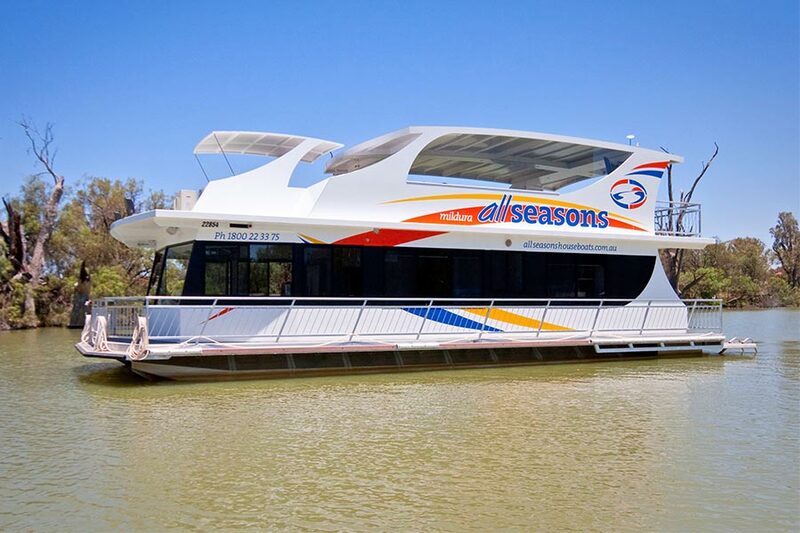 Simply phone All Seasons Houseboats Mildura on 1800 22 33 75 or on (03) 5023 3375 to discuss available dates. Or use our contact form online and we’ll get back to you ASAP. 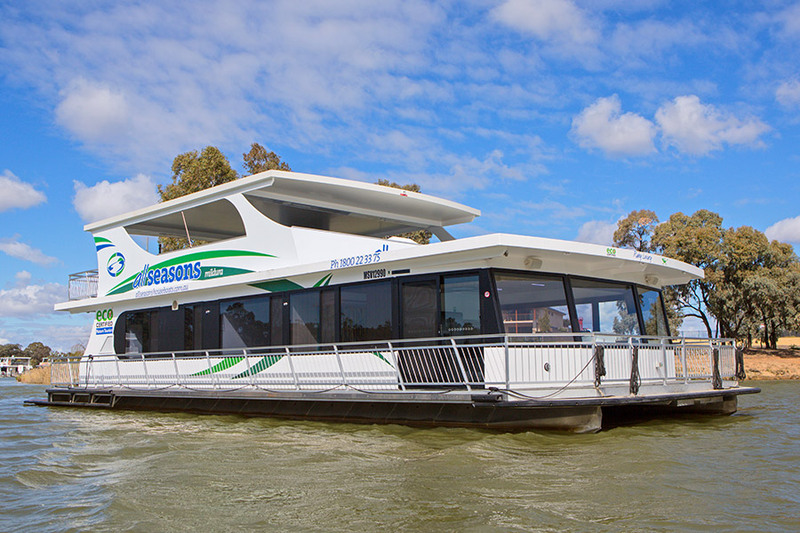 From there you can then go back to your group and discuss the available options and decide which date best suits your group for your houseboat holiday on the Murray. As soon as you have decided on a date we suggest that you make a reservation to ensure that you don’t miss out. 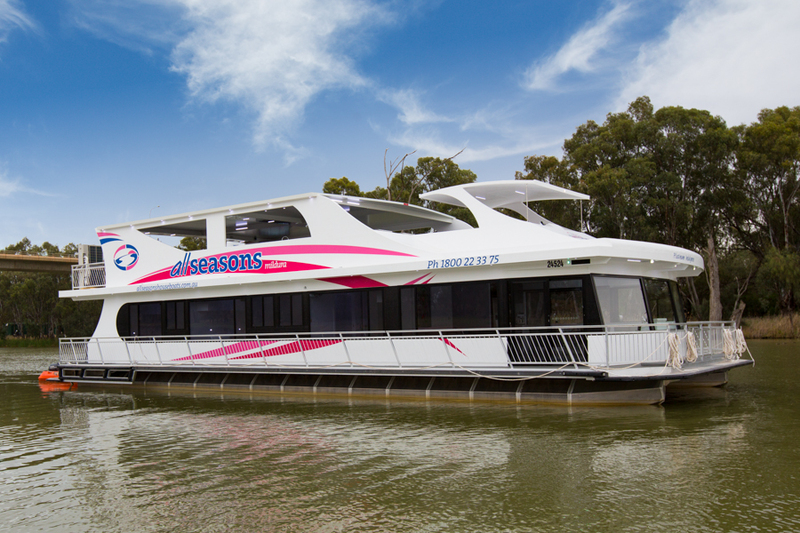 Once you have decided on a boat and dates and confirmed with us that this is available then we can make a tentative booking for you. To confirm the booking a deposit is payable within 7 days of making the booking. The required deposits are $1000 for all boats. We accept cheques, money orders, credit cards (2% surcharge) and direct deposit so your method of payment is up to you depending on what is easiest for you. We also require a completed booking form returned with each deposit to ensure all of your details and dates are correct. (download booking form and terms and conditions). This deposit is deducted off your hire fee and once this is made your final balance is due no later than 2 months (60 days) prior to departure. To ensure the final payment can be paid on time, it is best to give your group plenty of notice as to when the payment is due and how much money you need to collect from each person. **All direct deposits must have a surname and reservation number attached. No responsibility is taken for unidentified deposits. 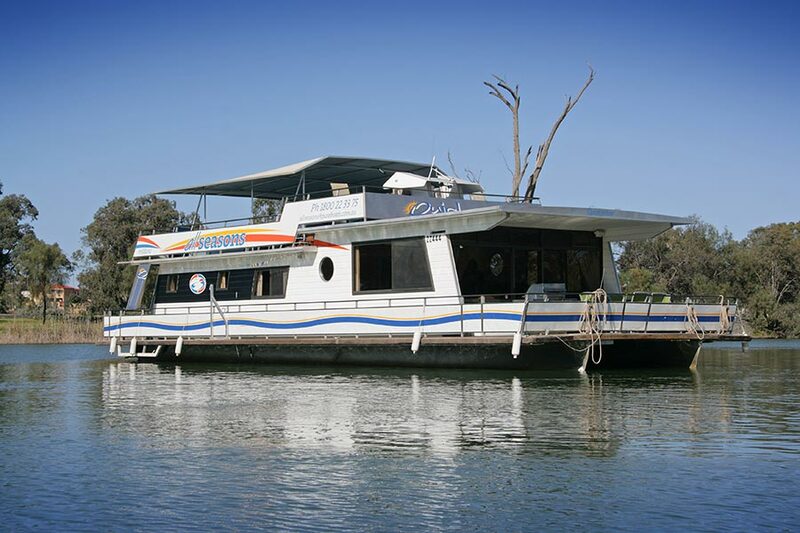 If you or someone in your group has a ski boat, fishing boat or dinghy then it’s definitely worth considering bringing it along with you on your houseboat holiday. 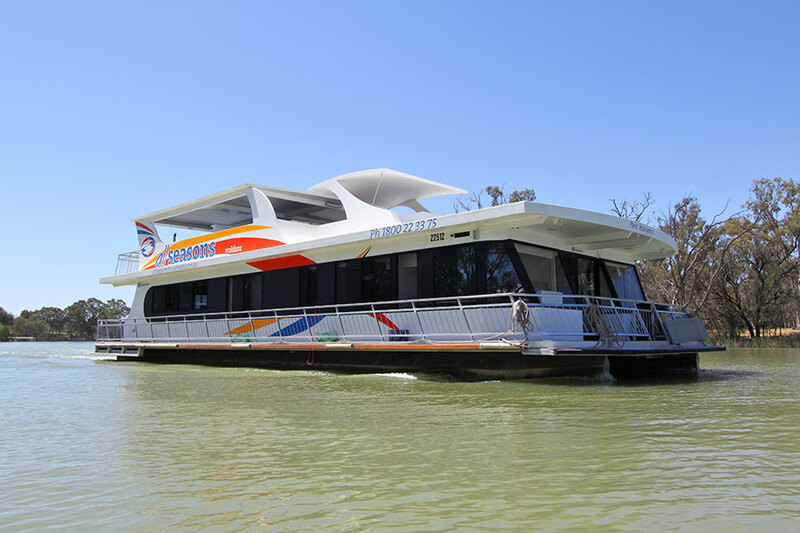 Each boat is equipped with either ski “v’s” at the rear or Quicksilver has a side towing arm which means you can simply hook your boat up to the side of the houseboat and this can be towed safely alongside the houseboat as you travel. All boats now come with complimentary polycraft runabouts. 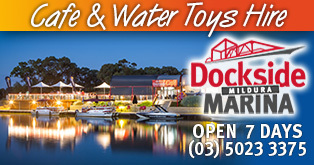 If you don’t have a boat then you may like to consider hiring one from us. 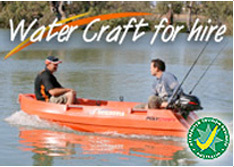 We have runabouts, polycrafts and kayaks for hire at very reasonable prices. All safety gear is provided. No boat licences are required except for the runabout with the 15HP. 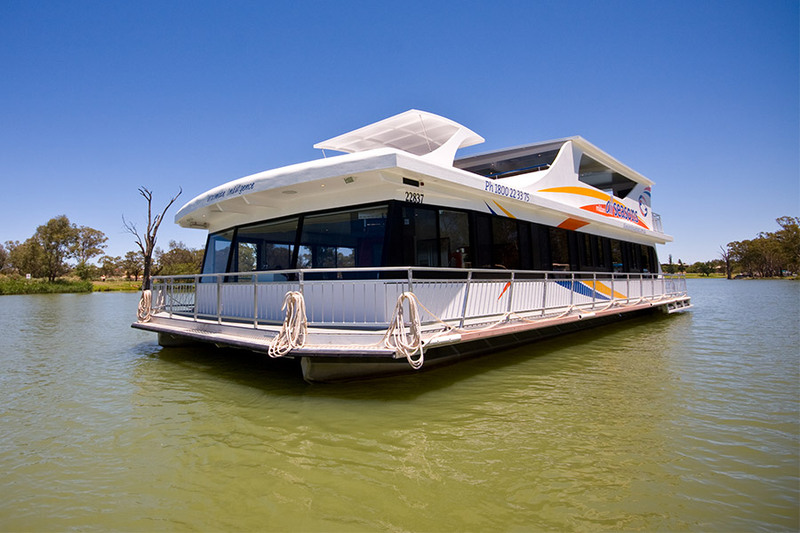 Water activities are a very popular activity whilst on your houseboat. Whether it be water skiing, fishing or canoeing, it’s definitely an option worth considering to heighten your river holiday. 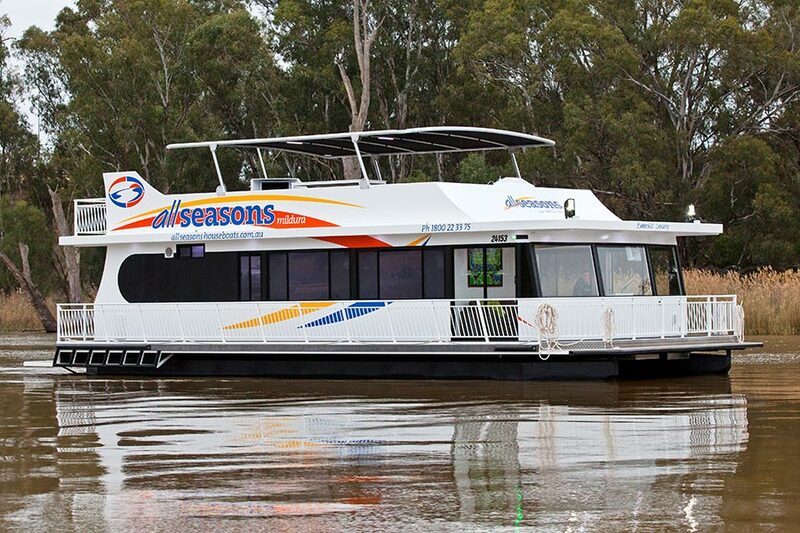 You can also hire a range of water toys from All Seasons Houseboats. 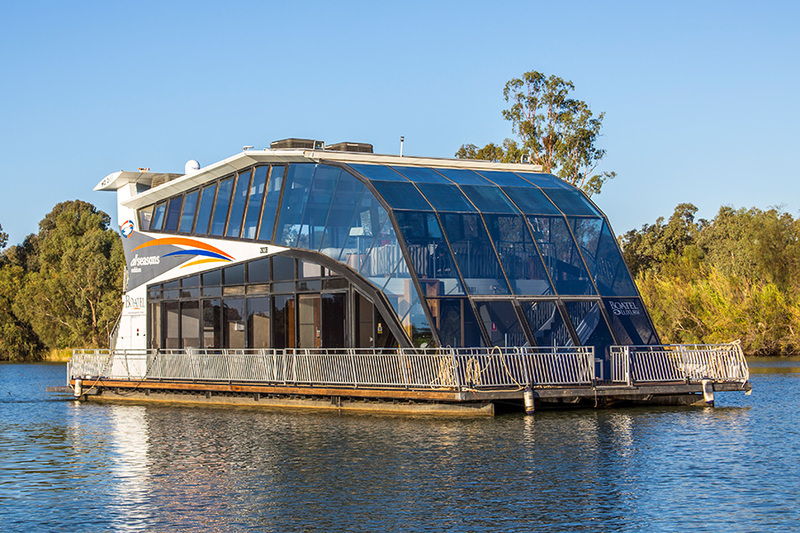 Want to be able to arrive on your houseboat with your grocery needs already on-board waiting for you? Don’t have time or want the hassle of having to go to the supermarket to shop for everything before being able to enjoy your holiday? Mallee Meats & More offer a hassle free pick-up and delivery service for all your supplies from steaks to vegetables to cakes and much more. Mallee Meats & More are a wholesaler who sells direct to the public, which enables them to give their customers great products at wholesale prices. 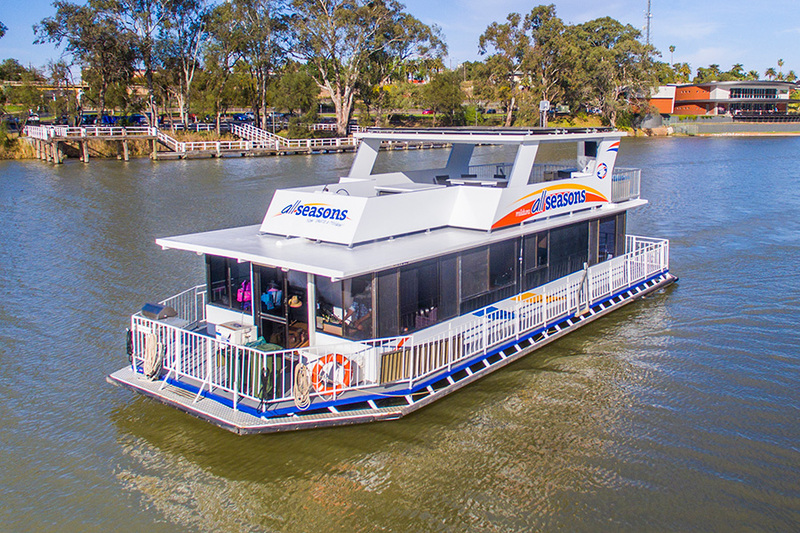 Mallee Meats & More can deliver to your boat prior to you boarding or can meet you at a designated delivery locations throughout your stay, for your convenience. Yes you can supply your own, or we can fill the ice box for you. Cost of ice is deducted from your security bond at the end of your trip. This is a very convenient service and our experience helps ensure that we stock the esky with enough ice to see you thru your entire holiday. Please let us know prior to the commencement of your holiday if you would like this service. To have your drinks delivered prior to your arrival call The Bottle-O at the Gateway Tavern on 03 5021 3288 or via email on bottleshop@gatewaytavern.com.au Do a phone order and delivery (free delivery on orders over $200). Also see a list here of what to bring as a guide.